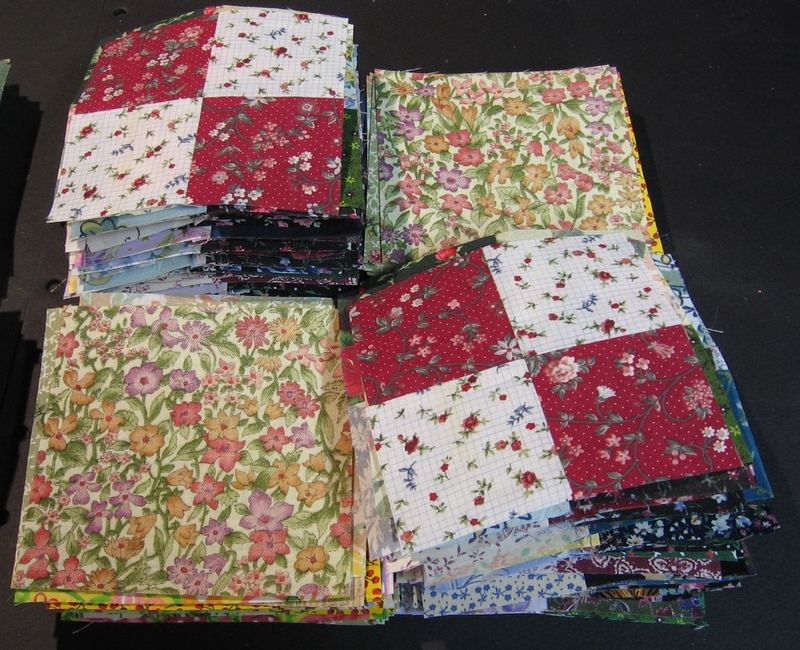 I pin basted the double four patch and pin basted 2 little quilts. 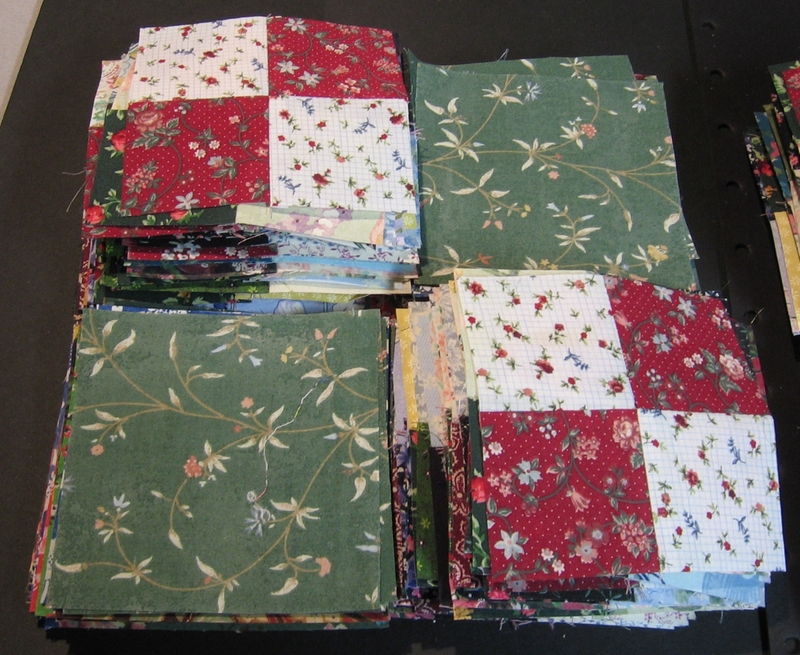 I also lined up 4 little quilts for piecing. plus, I started a hat for myself. 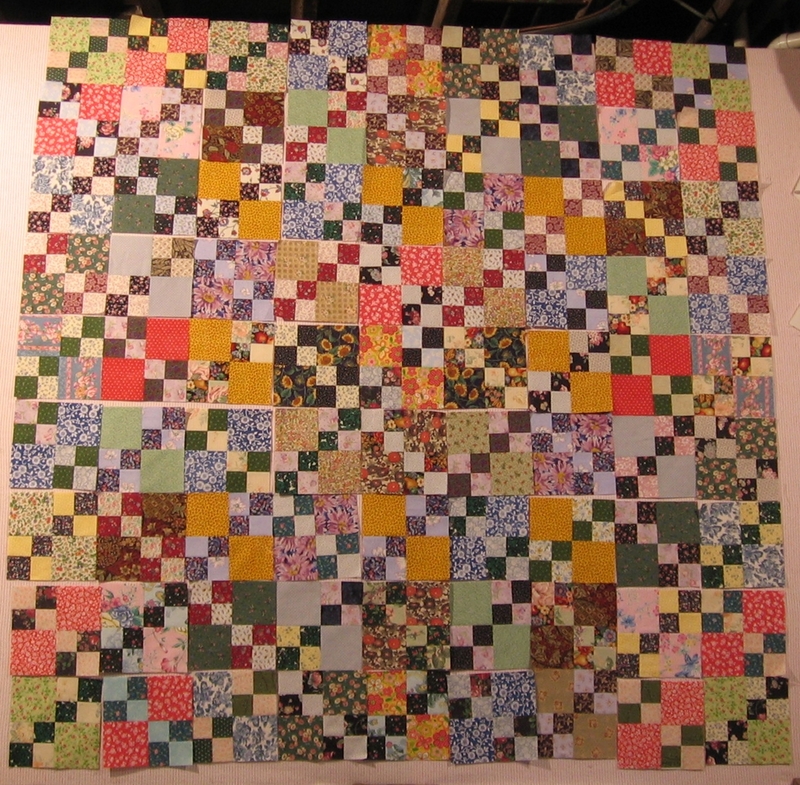 I pin basted the double four patch rather than thread bast, because I used washed flannel as the batting (an experiment) I didn’t feel thread basting would be worth the time as I could put the pins farther apart than the stitches. Finally I finished sewing the top. Now I need to make the back. 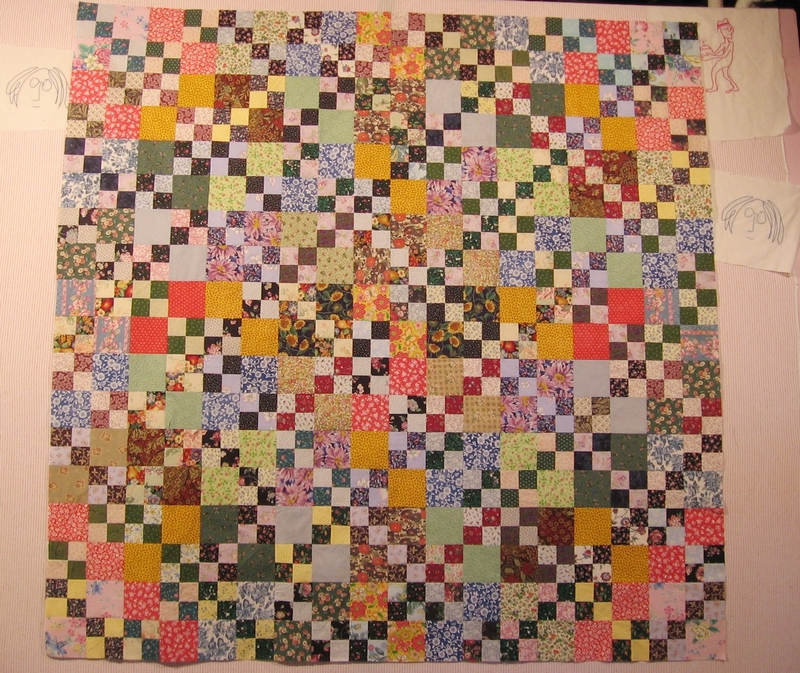 I started sewing the blocks together and that digital picture I posted is invaluable in getting the blocks back in the order I want. Wow – Double WOW – what a time saver. I am 2/3 finished sewing it together. It is now a giant nine patch. I tweaked it a little, but this is pretty much how it went up on the wall. I like it so much I can’t bring myself to try a different layout. 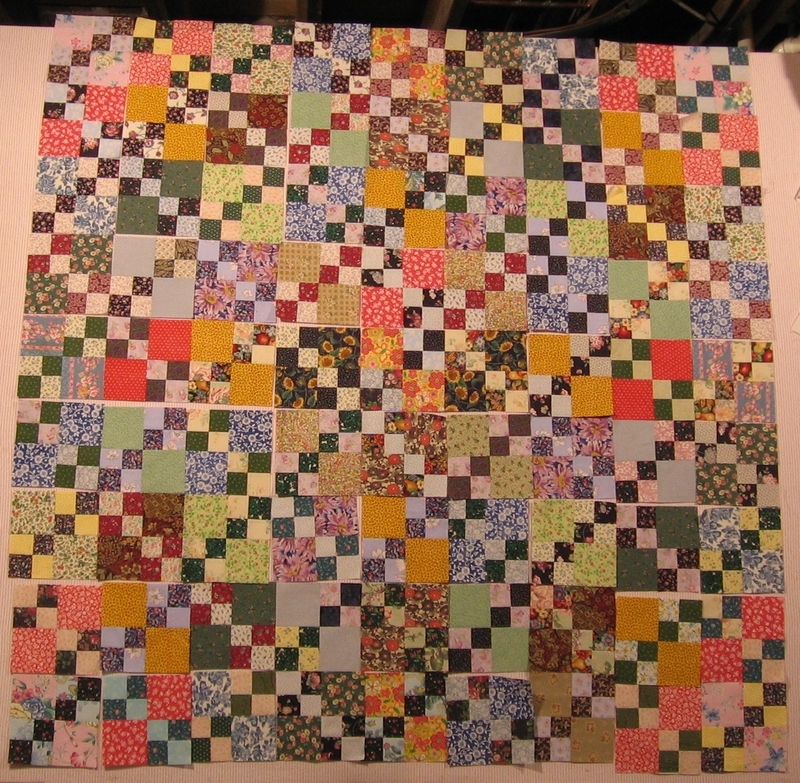 It looks scrappy, despite all the repeats. It’s gonna end up being about 6 foot square. I wish it were a little bigger, but I don’t have enough leftover blocks. 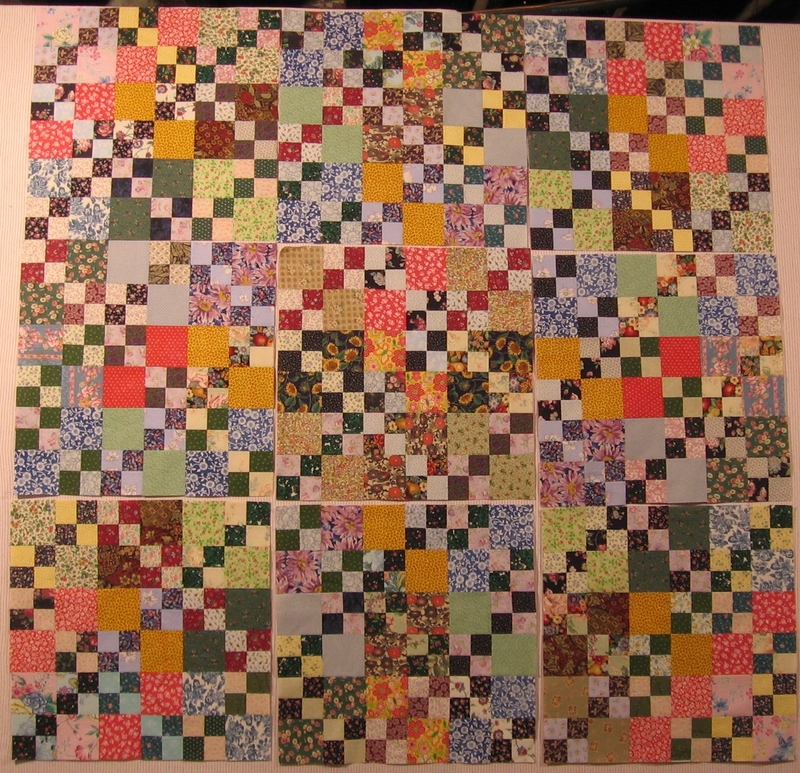 I could put a border, but I really like this type of quilt to not have a border, so 6 feet square is what it is. Later, I changed it slightly.